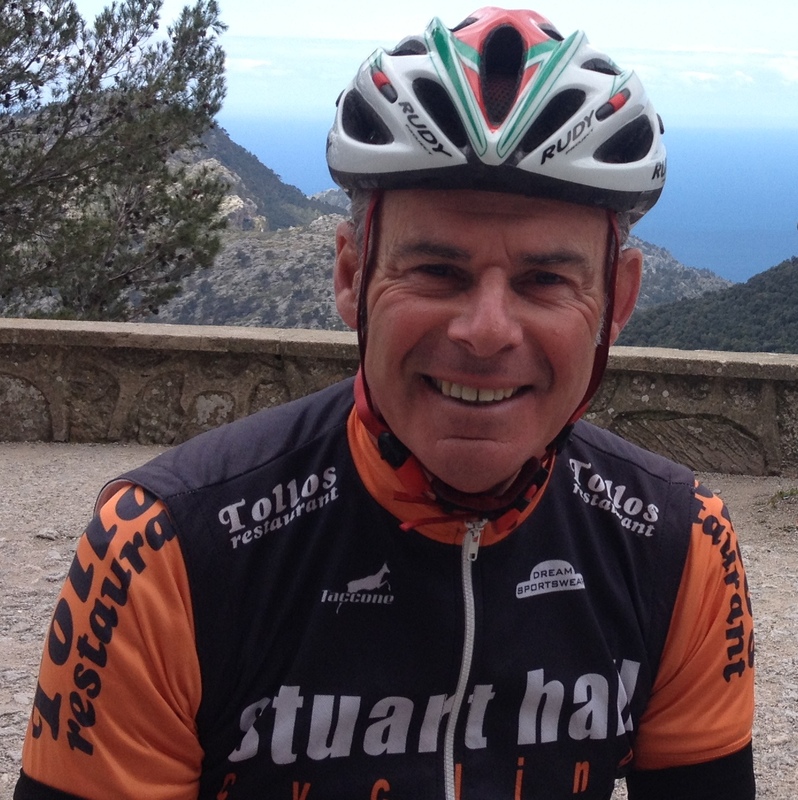 Founder of Stuart Hall Cycling, Stuart has over 40 years of cycling experience, much of it in Europe. He first raced in Holland as a schoolboy and junior before moving to France and racing there for 10 years, based in Bordeaux and then Normandy. Stuart takes care of trip logistics and leads rides. If you call him, don’t be surprised if the line is a little windy – he’s most likely riding his bike! Jenny is the person most people never meet, but an integral member of the team, essential to ensuring your trip goes smoothly. She started helping Stuart out with his admin and marketing in 2012. 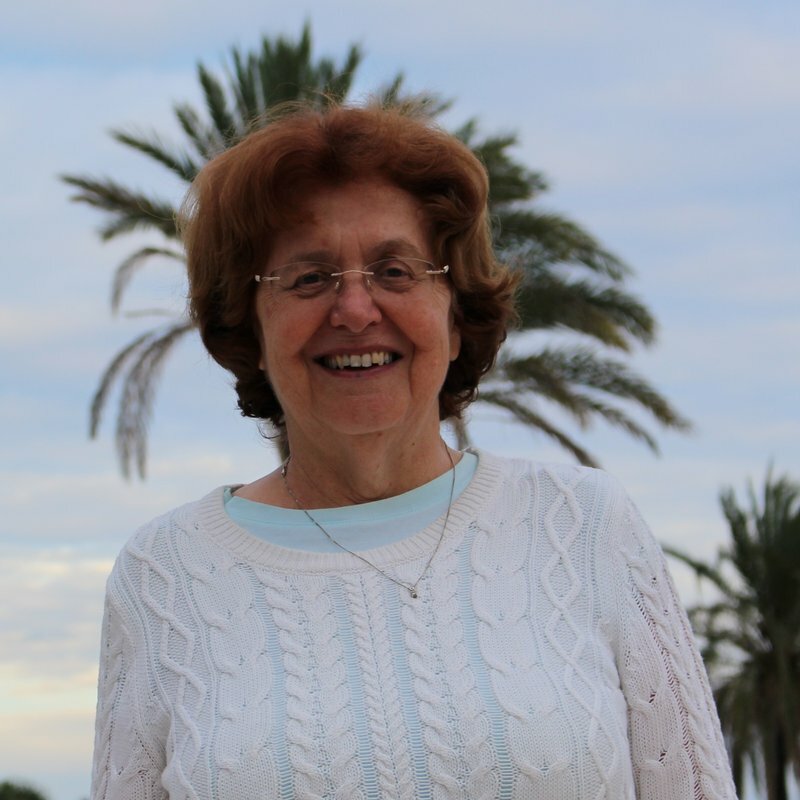 Many people’s interaction will be limited to her polite requests for flight and payment information, but she enjoys hearing about their cycling trips and has built up a good relationship with many clients over the years. 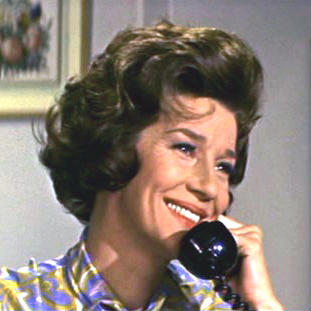 Just don’t expect to get an email from her during usual working hours as her day job involves looking after her two small children. Her eldest has just learned to ride a bike so it won’t be long before she is joining the regulars out on a Mallorca training camp! Jenny previously spent 10 years as a journalist. Cycling has been an integral part of John’s life for as long as he can remember, whether riding to school, or his first job working for Tommy Godwin Cycles in Birmingham. A true club cyclist, John raced most weekends in the ’70s, ’80s and ’90s and it was during his early racing days that he first met and competed with Stuart. John now enjoys working with Stuart to ensure that customers have a great time enjoying the whole cycling holiday experience. He is old school, has a passion for the Italian branded bikes and prefers to ride on “feel” rather than rely on a heart rate monitor, quoting “never sacrifice style for speed!”. 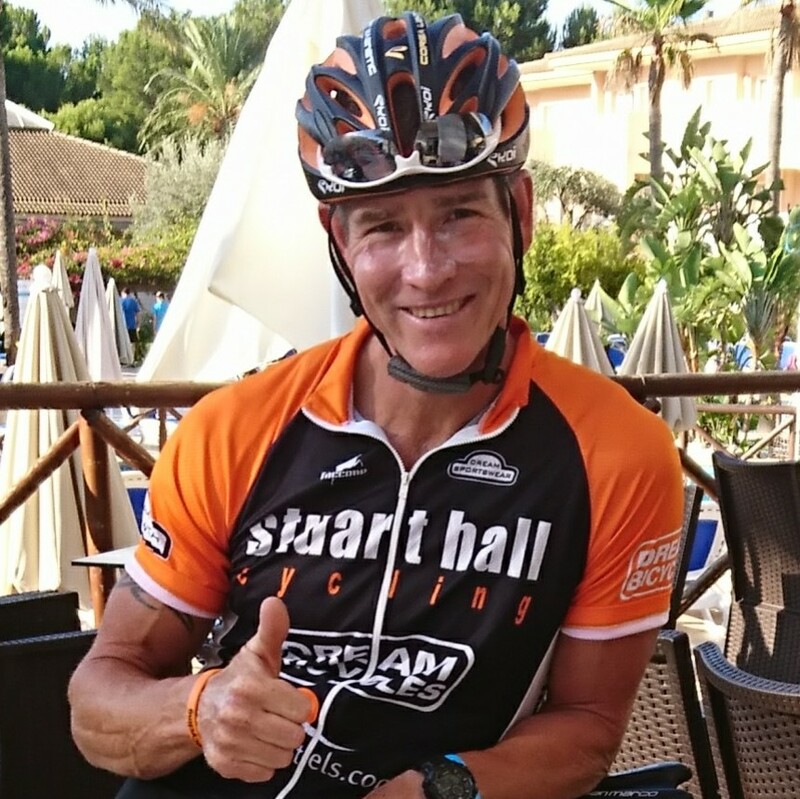 He has a laid back, chilled out style and is equally at home chatting away on the ride, enjoying a café cortado or relaxing by the pool after the day’s ride, which has earned him his nickname “holiday John” from other members of the Stuart Hall Cycling team. An experienced cyclist, Simon raced professionally for ANC in the 1980s, and was National Team Time Trial Champion in the 1990s. More recently he’s been National Vets Road Race champion and has numerous Vets Track Championship medals. He has a life-long passion for cycling, and loves passing on his knowledge to others so that they can share his enjoyment of the sport. 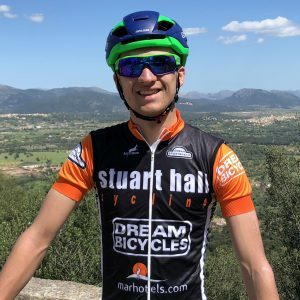 An “old-school” cyclist, Simon also embraces new technology and thinking about training, bikes and nutrition, and will happily chat to you about anything bike-related, old or new, while enjoying the beautiful scenery that is just best seen on two wheels! 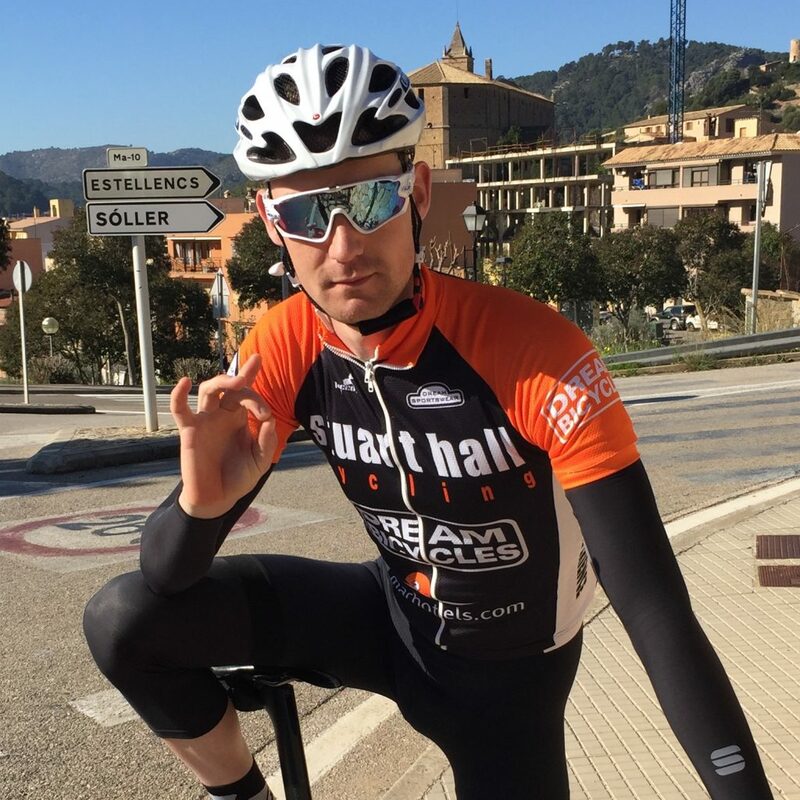 Tom is a 25-year-old racing cyclist and has been riding in Mallorca since 2011. He has yet to find a better place to ride and train! Tom has held an Elite licence in the UK and has also raced in Belgium, Spain, France and the Netherlands. He enjoys taking groups out on training rides in the Sa Tramuntana mountains in Mallorca, but is equally happy on more relaxing rides with a couple of cafe stops and enjoys a glass of good vino in the bar in the evenings. 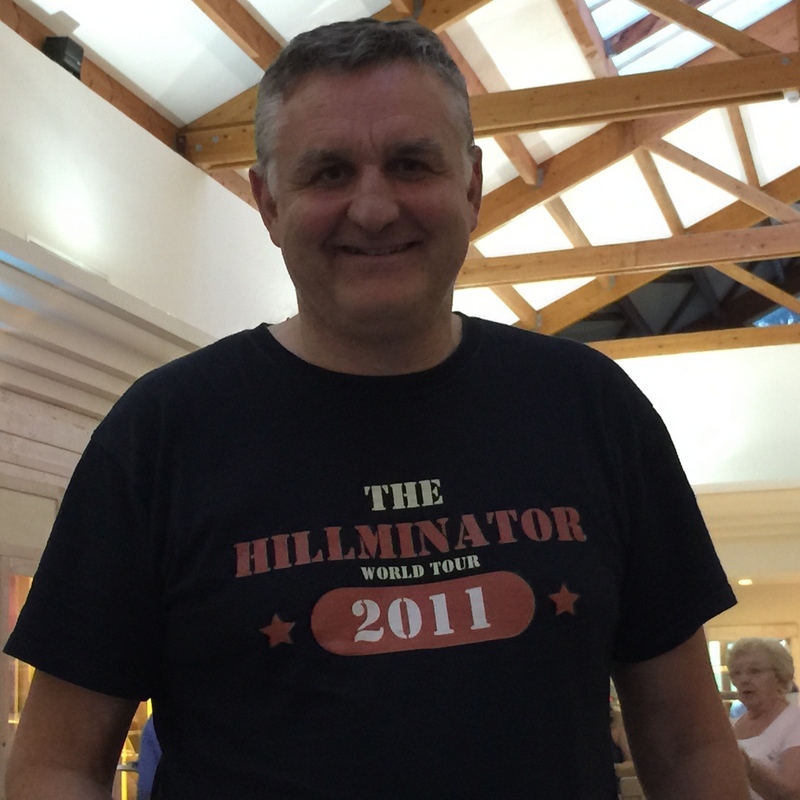 Andy Hillman, whose previous clients have included Chris Froome, Jeremy Hunt, Baydon Cook, Rigoberto Uran and Yaroslav Popovych, is our masseur in Mallorca and on many of our other trips, often doubling up as one of our drivers. A keen cyclist himself, Andy has spent 10 years working with pro teams including Radioshack and Unibet. Thom is a keen racer, covering all disciplines from mountain biking to 12 hour time trials. 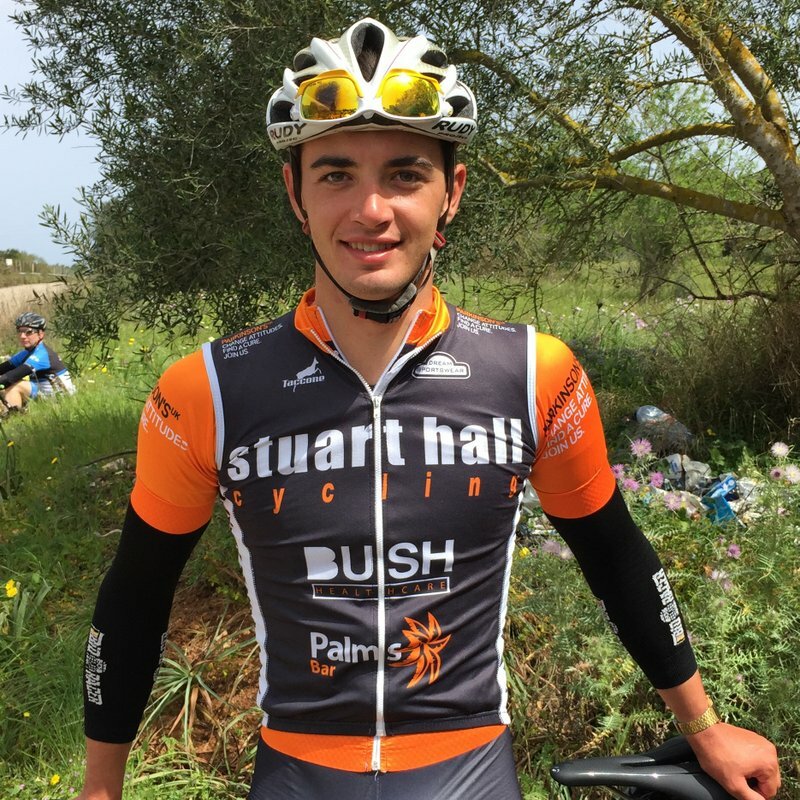 He started racing at 14 and has had a top 20 finish in the junior national road race championships, was club junior BAR, and had a top 3 finish in the BC under 23s at Oulton Park in 2018. Thom sees himself as a bit of a mountain goat and can often be seen improving his tan lines at the top of a climb somewhere! However he is just as happy on a steadier ride with a couple of coffee stops, and is an excellent mechanic. 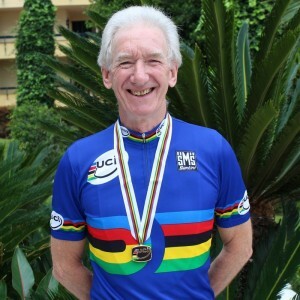 David has a wealth of cycling experience, having raced at various levels for over 40 years both in the UK and abroad, and still enjoys racing. 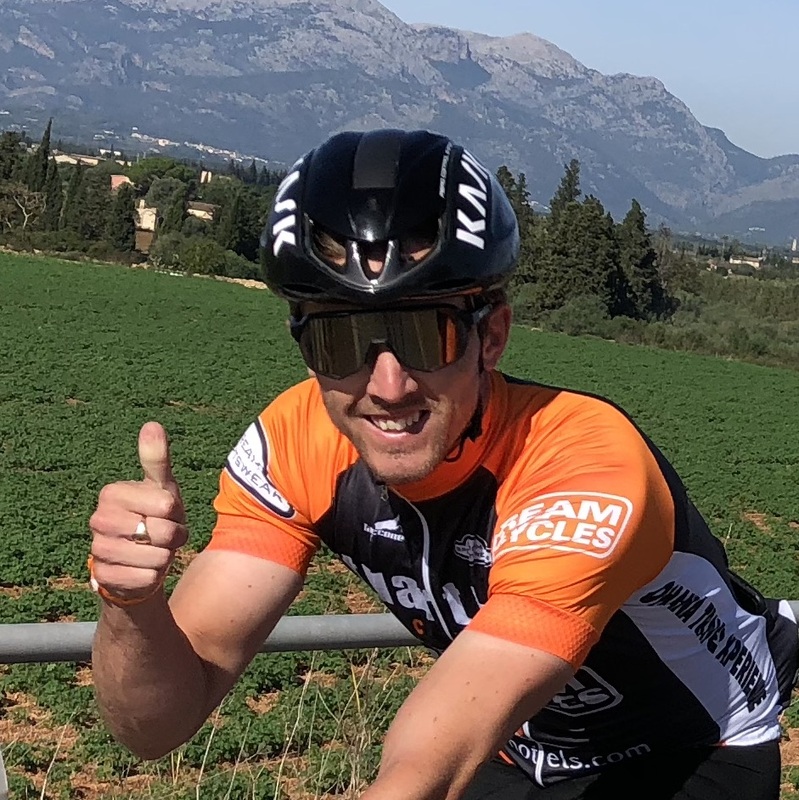 He’s completed the Masters Tour of Mallorca on several occasions, and has experience of a number of the French sportives; the Ronde Picarde in September is a firm favourite of his. 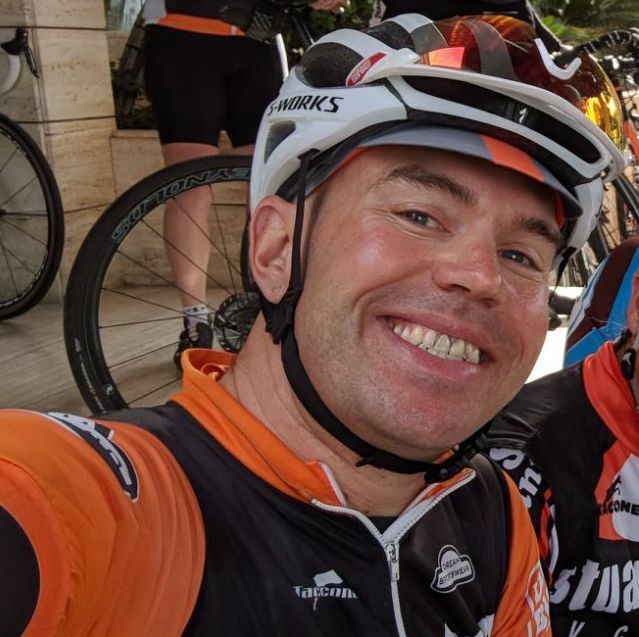 David’s moto is that he is “always happy to help” and he loves nothing more than motivating and encouraging other cyclists on the rides he leads and supports. As you’ll quickly discover when you ride with him – provided, of course, that you can understand his strong Geordie accent! Ed first visited Mallorca in 2012 with Loughborough University and couldn’t stay away; he has been back every year since. His background is in cross-country mountain bike racing, where he regularly competed at national level. He recently made the switch over to cyclocross to test himself in a new discipline. Despite the short, off-road nature of cyclocross races, Ed loves long rides and is most at home when the gradient starts increasing… he is more than happy to pace you up a climb! Ed is also an experienced bicycle mechanic. Steph started life as a rower (totting up 3 youth Olympic golds, amongst other titles), and only discovered cycling to commute the 18 miles (each way) to rowing practice. Her first experience of Mallorca was the Andratx coast road, still her favourite road on the island, and she’s been back to explore for at least a month a year ever since. Steph’s won the Daily Beast Award at the RAS, hurt more than a few legs in the Ryedale GP and now enjoys 12 and 24 hour time trials. She loves helping others enjoy cycling as much as she does, and is a sports masseuse and sports nutrition adviser. She’s also partial to a good bit of cake, having had her own cake business, and when not cycling can be found rock climbing and mountaineering. Simon is an endurance triathlete with over 10 years of experience racing Ironman and Half-Ironman. He’s competing for the GB age group team in the ITU long-distance world championships in 2019 and attributes his triathlon success in large part to his strength on the bike. Simon will often by found chatting “numbers” on the group rides. He enjoys the sports-science approach to endurance racing and will happily provide advice on power, nutrition, effort and how best to train and race. He loves long, hilly rides, brisk chain-gangs and double helpings of cheesecake at the café stops. Our resident world champ, David is another familiar face as a long-term Stuart Hall Cycling customer and regular on the vets racing scene. His passion for cycling began as a teenager in Newcastle upon Tyne, but he really caught the racing bug when he returned to cycling in the late ’90s after taking a break for his career, with major successes both on the road and the track. He’s won two British Masters Road titles and became World Champion in the Scratch Race at his first World Masters Championships in 2011. He followed this with Bronze in the Pursuit in 2013, and then Gold again in the Team Pursuit in 2015. He’s also had 3 podium places at major Sportives. “I enjoy the Spanish cycling community that Stuart has created and love my new role as a Ride Leader for the company” he says. David leads the fast and medium rides and likes nothing more than relaxing over a fine glass of red wine in the bar in the evening. Jennifer is the ‘better half’ of David Rutherford and fills her days welcoming our guests with a cheery smile and making sure that everything runs smoothly from a transport perspective. She loves to hear about our guests’ experiences on and off the bike and can be relied on for excellent recommendations for the best things to do with your time off! Whilst in Mallorca Jennifer enjoys walks on the pinewalk, reading and playing bridge on her iPad. Ben’s been working with Stuart since 2015 and is usually to be found leading the faster or intermediate rides. He started cycling over 10 years ago around the Warwickshire lanes, only discovering Mallorca in 2013 when fellow ride leaders Ivor and Dave persuaded him to come out. He quickly fell in love with the quiet roads, beautiful scenery and great cakes that the island is famous for – to cyclists at least! 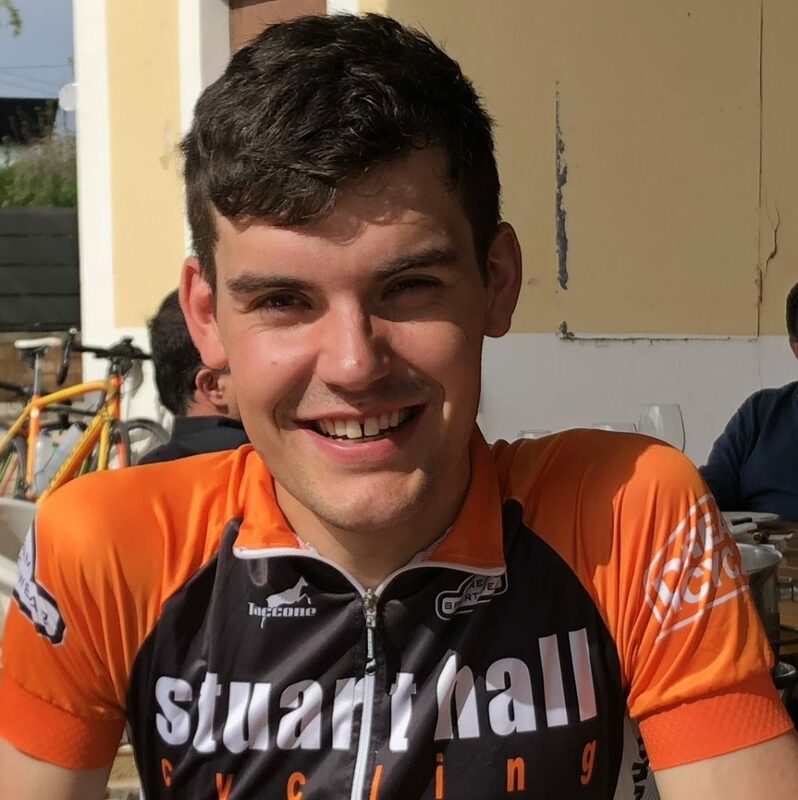 Ben now loves nothing more than exploring the beautiful Mallorca lanes and discovering new routes, and he is learning Spanish so that he can chat more easily with the locals. Jack started road cycling aged 17 and has enjoyed all aspects of the sport ever since. He’s raced in the UK and Belgium, has an elite licence and is current divisional champion. 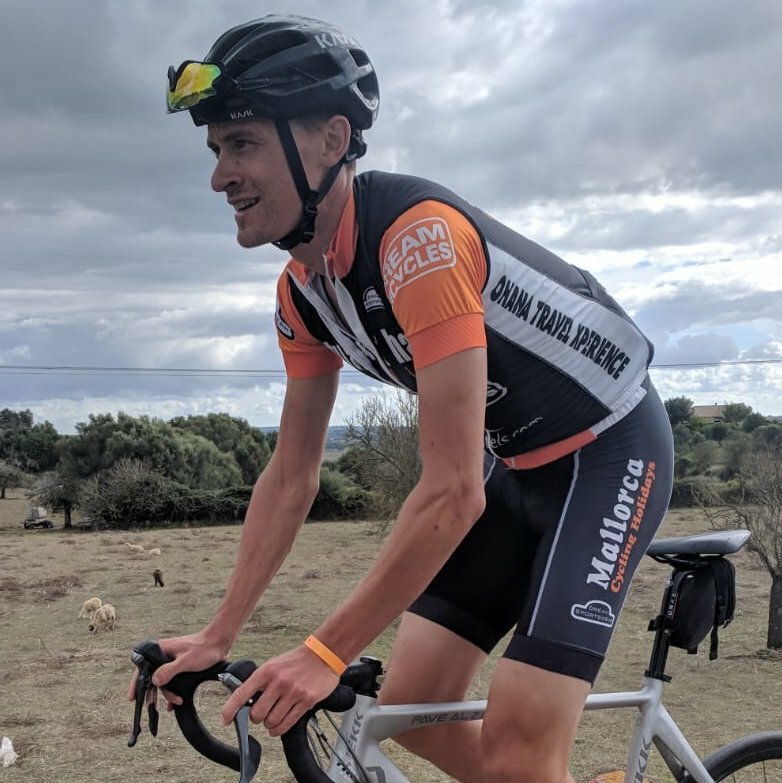 Jack loves exploring new places by bike, and thoroughly enjoys pedalling through the beautiful Mallorca lanes, swapping stories with other cyclists. He is also partial to a good café stop! A qualified first aider and British cycling coach, Jack enjoys listening to music and experimenting the kitchen in his spare time. 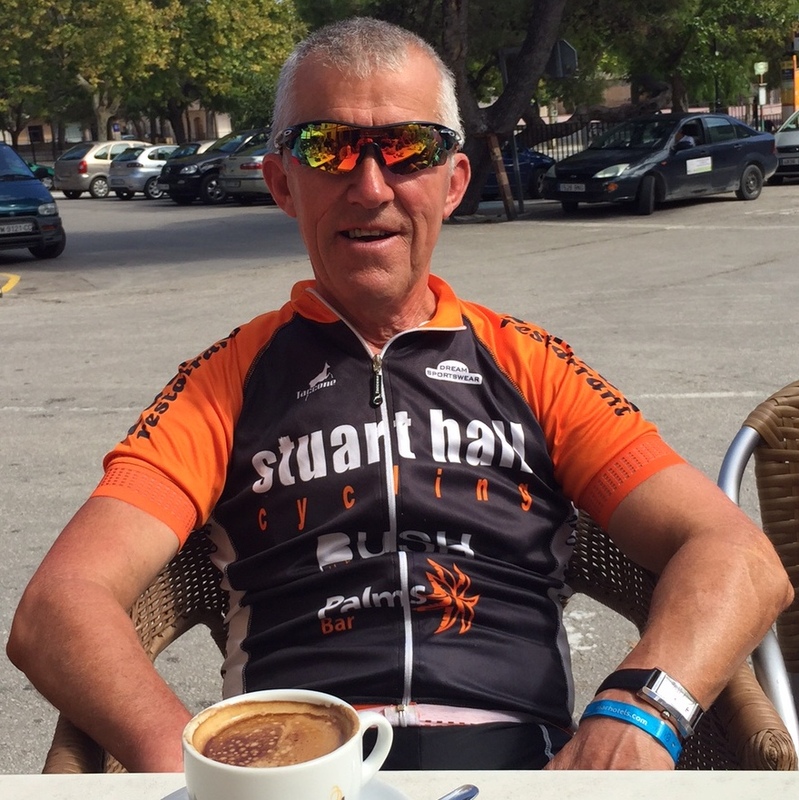 Ivor has ridden the Masters Tour of Mallorca over 10 times and currently races both on the road and track in the UK. He’s also a regular competitor in European sportives and has an extensive knowledge of parts of the French Alps. He takes out the intermediate rides. 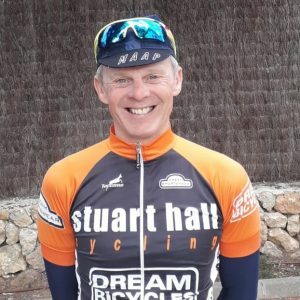 A keen tester in his racing days, Wayne is also an experienced track and crit racer and has been coming out to Mallorca with us on and off since the 1990s. He professes to prefer riding hard on the flats with a tail-wind to bringing up the rear on the climbs, but wherever he is in the pack, there is sure to be a large smile and endless string of humerous banter accompanying him. 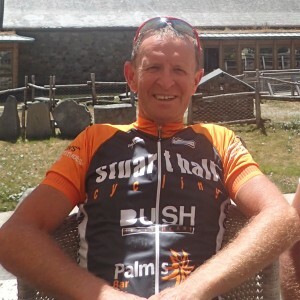 A mixture of African, Kiwi and Welshman rolled into one, you’ll usually find him in the bar in the evening – Wayne enjoys nothing more than having a good chat and re-hydrating with like-minded people after a good day in the saddle. A Cytech-qualified and experienced mechanic, Dan is responsible for maintaining our suite of hire bikes. 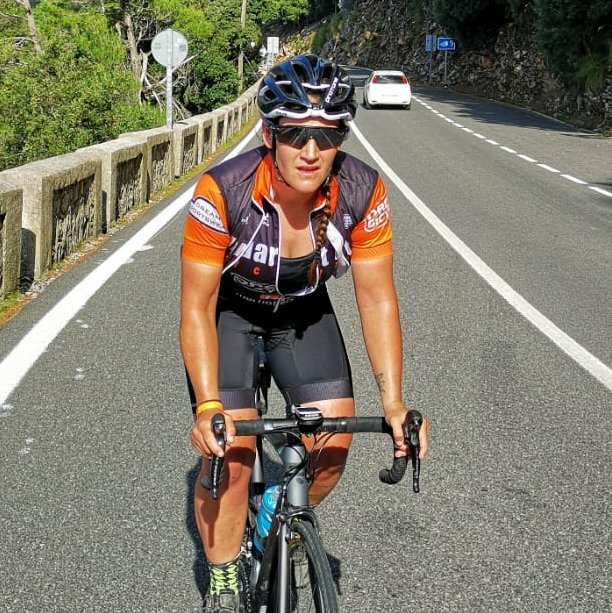 Having raced in Belgium for ASFRA racing team for three years, Dan has worked for us as a ride leader, mechanic and driver for several years, both in Mallorca, Europe and the UK. He claims to prefer the flats to the hills, is a big supporter of cafe stops and will happily take out the slower groups. But don’t be fooled! Be prepared for him to tear your legs off on the fast ride, all the while engaging in polite conversation. The above are just some of our regular team – we have a variety of others who are involved on individual trips, or during specific periods in Mallorca. If you are interested in becoming a ride leader, please contact us.